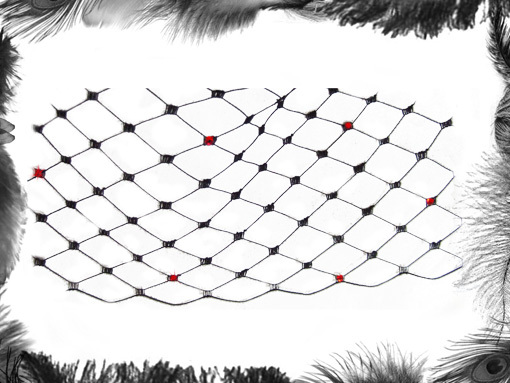 Rhinestone encrusted hat veiling, netting for any of our hats or fascinators. 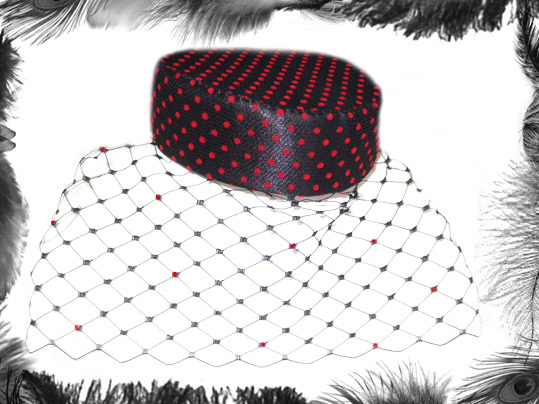 Add some sparkle to your hat or fascinator with our rhinestone encrusted veiling. Rhinestone Colours stocked: clear, red, black, purple, light rose pink. If you would like another rhinestone colour that's not a problem, just ask and we can source it for you! Please note that this is just the veiling and does not include a hat, which you need to purchase seperately. Above picture is for example only. IMPORTANT: This is an add on only for our hats, not a seperate product. If you do wish to purchase just rhinestone veiling without a hat - please email for a price. Each Veil normally has 10 - 12 rhinestones.